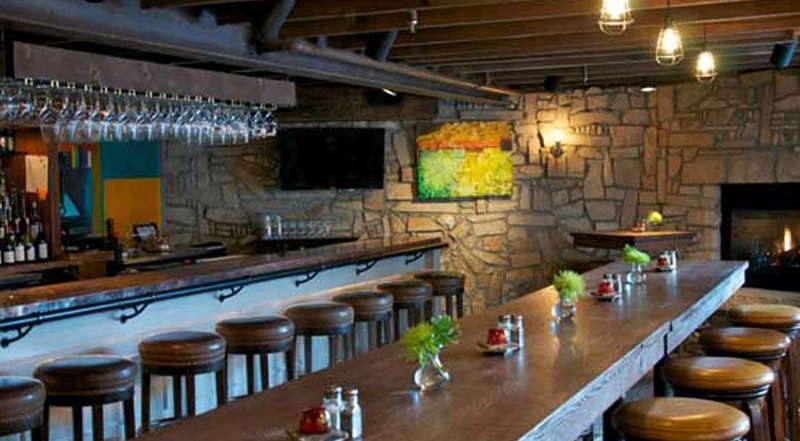 Tucked neatly away yet at the corner of Main Street and Heber Avenue is the the TAVERN an Artisan Bar. A hideout for locals and visitors alike with indoor or outside seating on SKY Plaza. The menu suits any appetite or taste with small plates with the local favorite cheesy tots to the creativity of avocado fries. Salads are a featured element of the menu—ranging from a Greek wedge salad to black kale salad. Large plates include an obligatory excellent hamburger plus a short rib grilled cheese sandwich and an adventure into street food with blackened fish tacos.